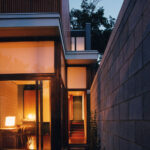 Brigitte Shim discusses how laneway houses can transform the city of Toronto, creating density and new neighborhoods. Toronto is one of the fastest growing cities in North America, and it’s also one of the most neighbourhood driven. It’s small communities, and historic homes are one reason the city has so much appeal – but it still needs to find innovative ways to accommodate the more than 78,000 people that move to the GTA every year. 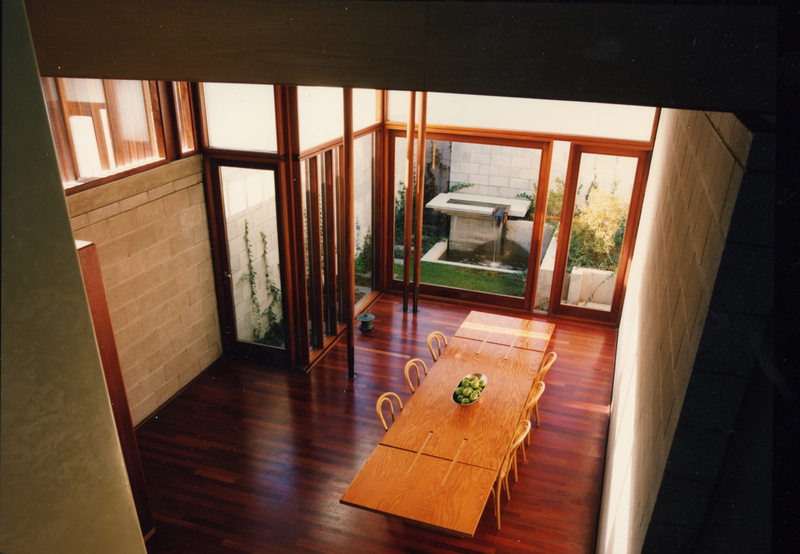 23 years ago noted Canadian architect Brigitte Shim proposed one method to help densify the city, while maintaining the small scale appeal – turn laneways into homes. If Brigitte’s name sounds familiar, it should, she was one of the geniuses behind Integral House, and Ledbury Park. 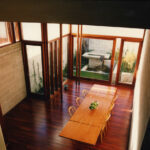 Shim and her partner Howard Sutcliffe founded Shim-Sutcliffe Architects in 1994. 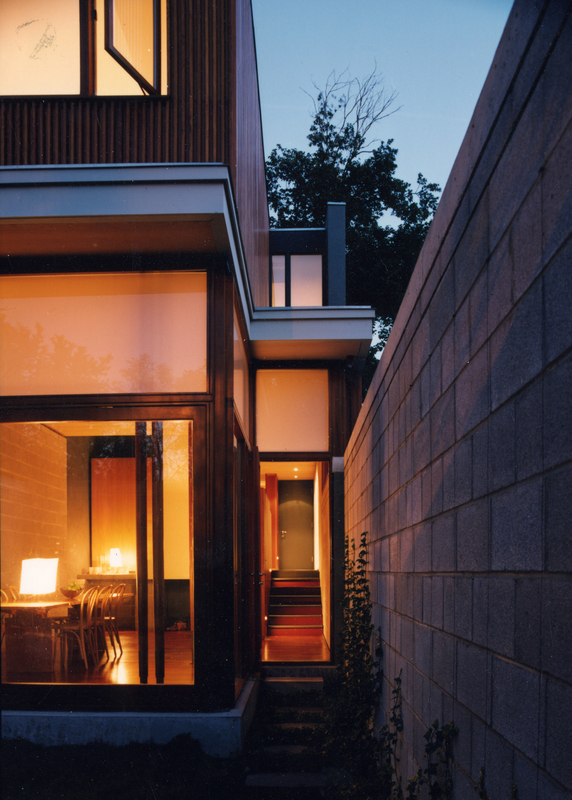 The duo have been awarded the Order of Canada, and received thirteen Governor General’s medals and awards for architecture. She has been a visiting professor at the Yale School of Architecture, Harvard University’s Graduate School of Design, and is currently a tenured professor at the UofT’s Daniels School of Architecture – right here in Toronto. 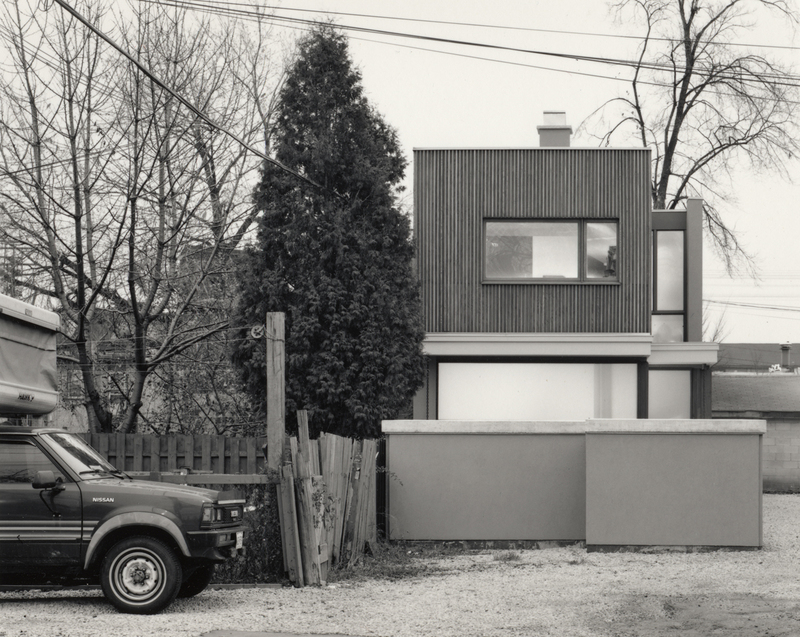 Since Brigitte has clearly demonstrated she knows what she’s talking about, we thought we would sit down and re-visit her ground breaking laneway house, and how it could improve the city. For those that don’t know, Toronto has 4,109 laneways, that stretch an estimated 294 km behind homes, and businesses. As the city becomes less car dependent, these former service corridors are becoming less relevant in their current form. Laneway homes take 2-3 laneway garages, and through the magic of a great architect, they can be turned into small, but beautiful sustainable homes. By our back of the napkin math, up to 29,400 homes could be built in these spaces, transforming the place you used to buy pot in high school into full-fledged micro-neighbourhoods – all without making anyone feel displaced. Sounds great, so what’s stopping us from building them? 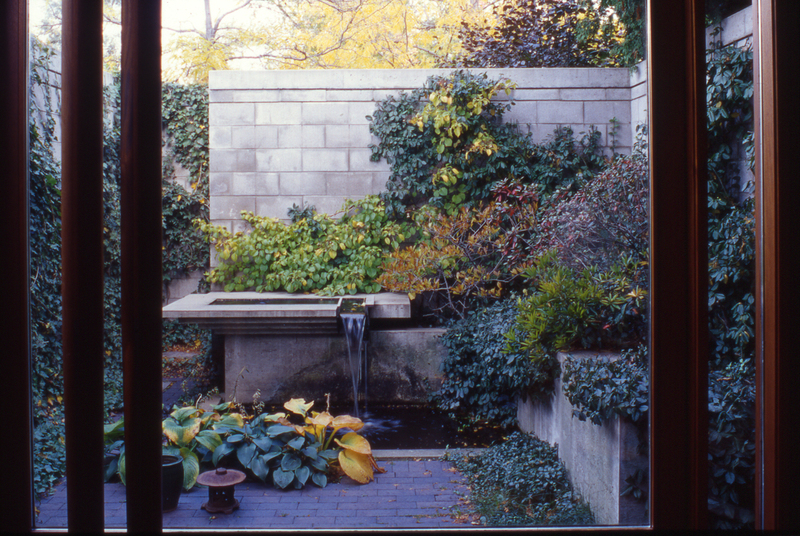 “The biggest hurdle facing laneway housing is the lack of awareness by our fellow citizens about the enormous potential embedded in Toronto’s extensive system of laneways” explains Brigitte. The lack of current city support makes building laneway homes a laborious and difficult task in it’s current state. 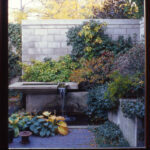 Brigitte’s Laneway House in 1993 had to be taken all the way to the Ontario Municipal Board – a long and time consuming process most people aren’t prepared to undergo. In 2008, Vancouver implemented dedicated resources to help you build laneway home, and Toronto should do the same. As mentioned, Toronto wouldn’t be the first city to implement Brigitte’s idea, that honor goes to Vancouver. In 2008 then mayor Sam Sullivan implemented the EcoDensity plan, one of the world’s most ambitious pieces of legislation to increase density and contain urban sprawl. We recently interviewed Sam and asked him what we can learn from Vancouver’s implementation of laneway housing. “It should be allowed everywhere and in Vancouver it is.” explained Sam. 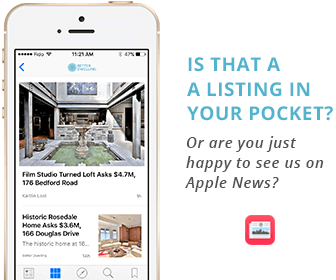 Unfortunately, “right now people can not buy a laneway house. Allowing freehold would be a positive move as it would allow many new homes”. That’s right, you can’t buy them. Existing legislation allows the construction of a laneway home, but Mayor Gregor Robertson’s government that followed Sam did not implement the legislation to make that property “freehold.” This means it must be sold with the existing home it’s attached too. This still has the benefit of utilizing the corridors, but requires existing homeowners to become landlords – not quite something everyone is interested in. “As cities become denser, we need to find ways of creating humane spaces that connect us to nature. There is no right way to create a piece of humanity in the middle of a metropolis.” Brigitte noted. 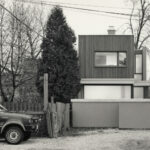 Although the city is currently warming up to the idea of repurposing laneways, with organizations like The Laneway Project gaining significant traction, there’s still no legislation put in place to make the process of building a laneway house more efficient. With better laws in place, just think how unique and special a laneway micro-community built around a community garden and local artists murals initiated by The Laneway Project could be. Toronto’s the economic engine of Canada, and as more and more people move here – the city should be exploring innovative ways like laneway housing to keep the unique neighbourhood centric structure Torontonians love. If Toronto wants to implement laneway homes as a solution to create better living environments for its residence, we need learn from the flaws in Vancouver’s implementation, and ensure they can be sold as freehold. Thus allowing the residents to actually own their home. By making our friends, neighbours, and politicians aware that a change in legislation is needed in Toronto we can hopefully remove some of the obstacles laneway builders face. Think Toronto needs laneway housing? Give Mayor John Tory a tweet and let him know you think Toronto’s laneways need some TLC from city hall. Think this is a bad idea? Give us a tweet and let’s start the discussion. Like what you read? Like us on Facebook to be notified of the next post. Cue the sustainable living haters that are going to argue it’s better to have a giant house and create sprawl than live in a small home. Brigitte’s work is great! A friend of mine in school took her class on sustainable housing, apparently she’s an amazing teacher. She should have her own blog on sustainable housing.